Sam the Dancing Matzoh Man greets attendees at Kosherfest. Sam with creator Eli Kowalski of ToyVey Toys. Credit: Faygie Holt. When food-industry insiders entered the Meadowlands Exposition Center in Secaucus, N.J., for the annual Kosherfest trade show back in November, you could almost understand why their thoughts were on Passover. Among those in attendance was Danielle Simpson, who works for Big Y Foods, a chain of supermarkets in Massachusetts and Connecticut. She noted that there’s been a growing demand in some of the chains’ outlets for more kosher food, and so she was searching for some new bakery items. (Another colleague was there checking out items for the deli section. )Passover starts this year on the evening of Friday, April 19, and lasts through the evening of Saturday, April 27. Rosinski’s matzah has been long-certified as kosher by local rabbis and recently obtained additional certification from the U.S.-based Star-K, a kashrut company whose logo is more recognizable to American consumers. 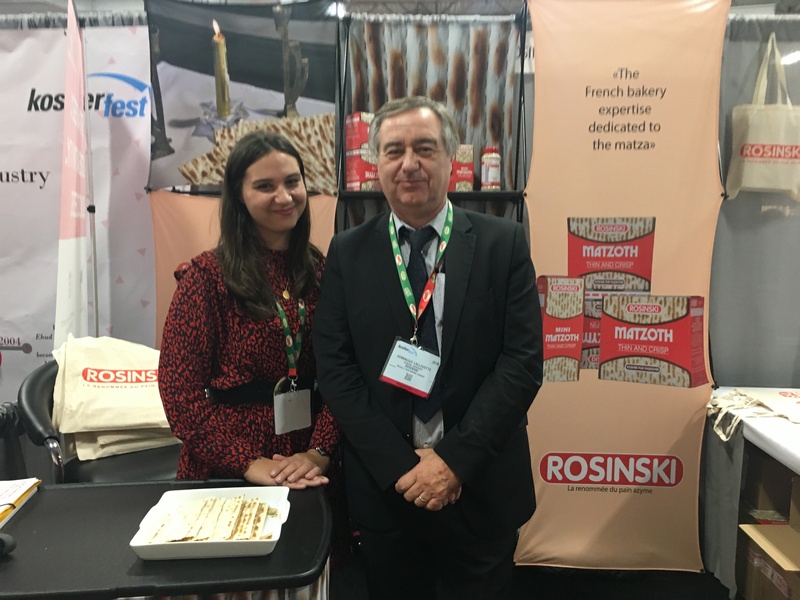 The decision, said Lallouette, who represented the company at the booth with her father, Dominque, was made in response to requests from stateside shoppers who liked the matzah, but couldn’t get it locally. 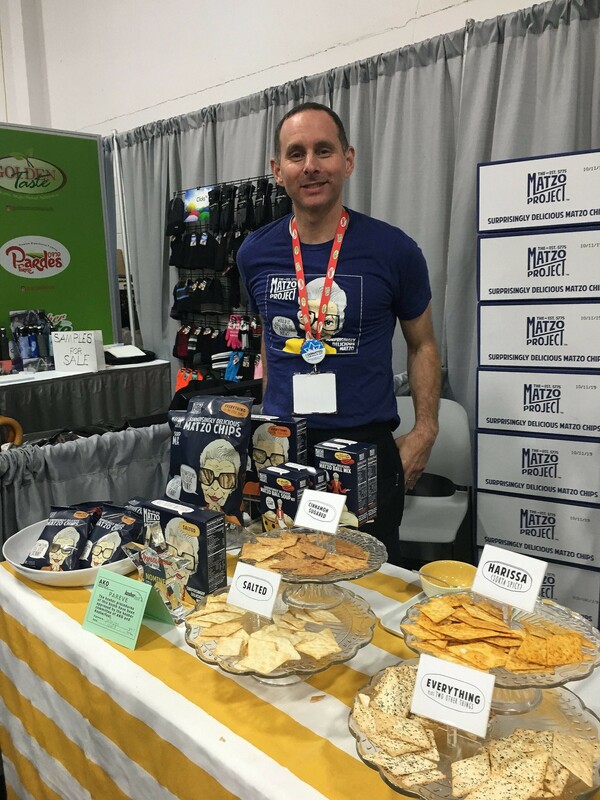 Kevin Rodriguez, co-owner of the Matzo Project, wants to take matzah from the ethnic-food aisle to general snack food section of the supermarket. Credit: Faygie Holt.